Locking your screen prevents other people from accessing your computer while you are away from it. There are several applications able to help you lock your computer. However, few of these applications are comparable to Eusing Maze Lock. Eusing Maze Lock is a powerful tool designed to help you lock your computer with a single click on the tray icon. While it provides a different locking system than the one bundled into Windows, Eusing Maze Lock places an icon in the system tray that allows you to either lock the machine instantly or using a custom hotkey. 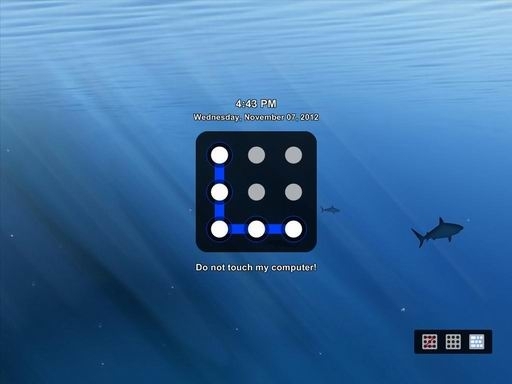 Then Eusing Maze Lock will display a lock screen and protected your computer. 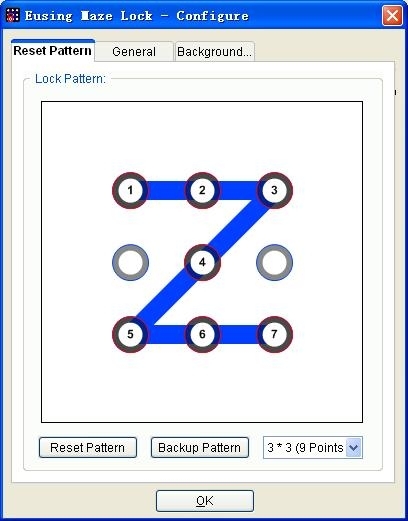 Overall, Eusing Maze Lock is a useful application that serves its purpose and provides some interesting configuration options that can be easily set up by both beginners and more experienced users. 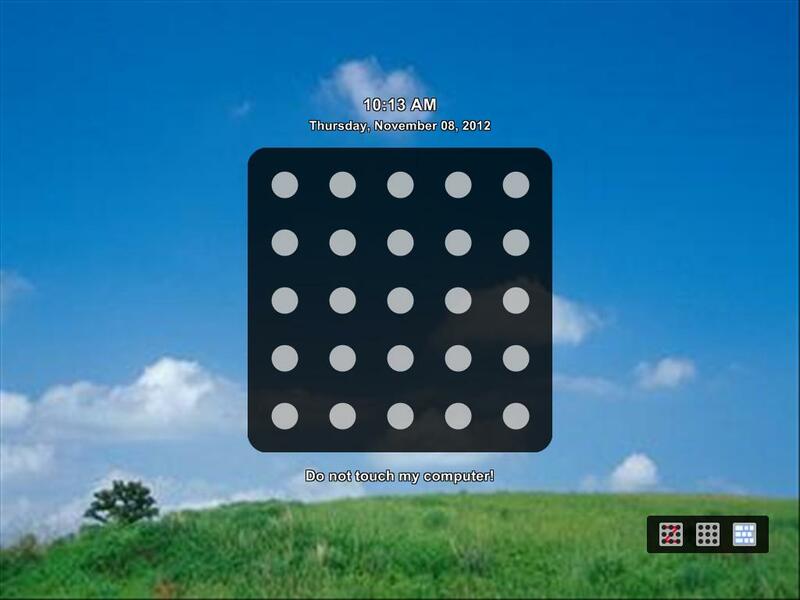 You can specify the lock screen background image, change the pattern to 4 x 4 or 5 x 5. Eusing Maze Lock can auto-lock the computer when windows startup and computer inactivity. With this unique application installed on your computer you will get a truly impressive security application.